Learning to love the lap pat! I’m learning to love sitting on the humans laps because it means they pat me lots! I like cuddles but I really love pats! The harder the better! If you didn’t know I loved it so much you might look at my humans and think they were cruel patting my back and sides so strongly. But it’s just the best thing ever! I like to flex my claws when they do it which mum calls ‘paddy pawing’ but the humans aren’t too keen on that on their knees! I can’t help it though, it’s a reflex. « Happy World Water Day! Oh, you sensible boy! Wish you could come here and teach ours the benefits of laps. 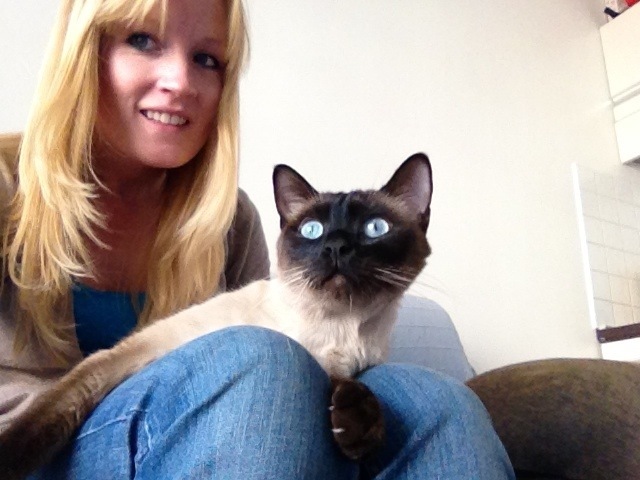 I love laps too Bailey…….but I much prefer Mom to brush me while I’m there vs. patting (although I enjoy that too!). Laps are grand (and warm). You are in the lap of luxury Bailey. 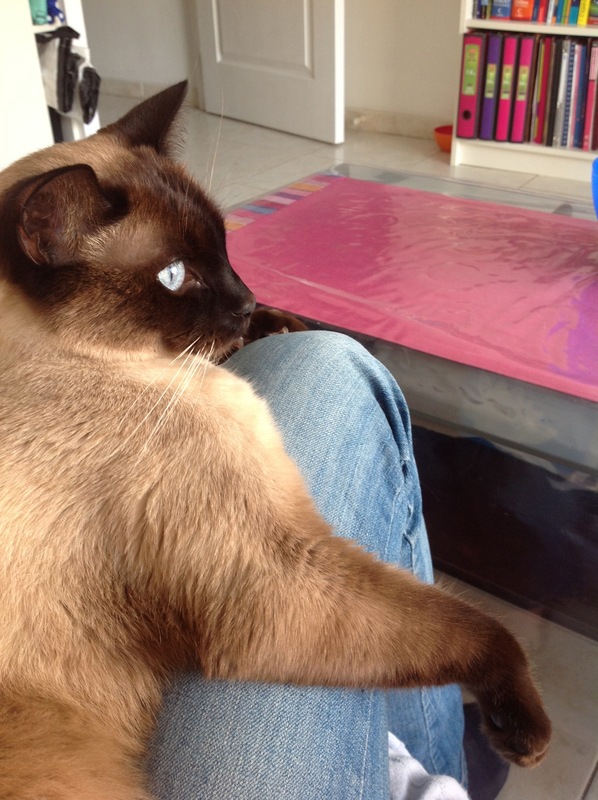 Seems to us that some cats really like sitting on laps and others not so much, we have one of each at our house. Hope you get lots of pats this weekend, Bailey! Have a wonderful, pat filled weekend Bailey. The biscuit making on our legs tends to get most bipeds but at least we know it means you are loving it. Aww. One of my cats enjoys it too. We call it swimming because he flexes. I don’t mind if they are happy we are happy. Have a good weekend, Bailey! I am the same way, Bailey! I look like a little frail thing, but I am actually pretty tough when it comes to those whaps! In the South, we call it “makin biscuits.” Enjoy your comfy lap and weekend, Bailey. 😉 Aren’t Hu’man lapz de BERY best?? me doez dat wif da clawz too n make Mum’s kneez all holey, MOL!! !